Supercars has confirmed that centre of gravity tests on 10 race cars have been completed with the data now being analysed by the category’s technical department. As previously revealed, the championship conducted investigation following claims that the new Ford Mustang Supercar has a centre of gravity advantage over the Holden ZB Commodore and Nissan Altima Supercar models. Ford’s latest Supercar has enjoyed an impressive start to the season, claiming all six Armor All Pole Positions and race wins which has triggered a parity debate in the paddock. 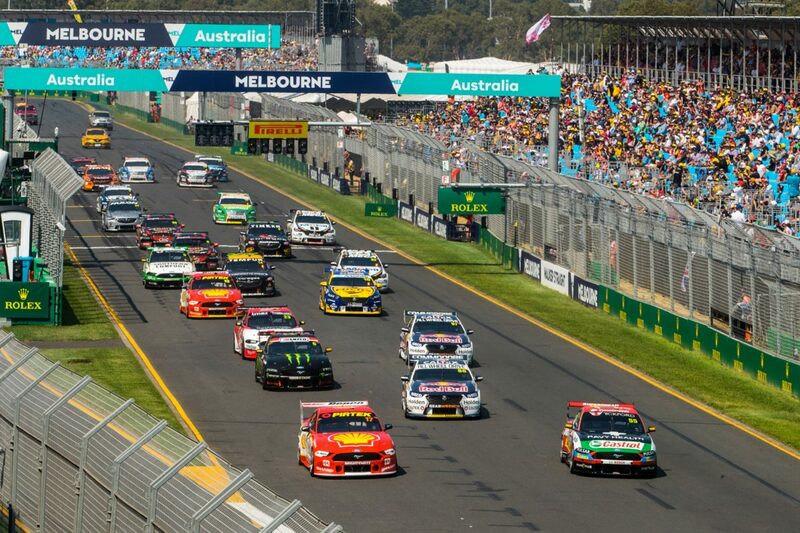 According to the series official website, Supercars’ technical team assessed cars from DJR Team Penske, Tickford Racing, Triple Eight, Walkinshaw Andretti United, Garry Rogers Motorsport, Erebus Motorsport, Brad Jones Racing and Kelly Racing to see if there is disparity. A lower centre of gravity improves a car’s handling, allowing it to negotiate corners better. During the Beaurepaires Melbourne 400, DJR Team Penske was asked to remove heavy exhaust mufflers that had been used to better balance the weight in its Mustangs. As it stands, centre of gravity is not regulated by Supercars although teams have already called for rules to be put in place. Supercars head of motorsport Adrian Burgess confirmed to the championship’s website that the test have been completed and changes will be made if an issue arises from the data. “There are well defined processes, mechanisms and resources in place to manage the category and ensure equitable competition,” said Burgess. Supercars will now analyse the data it has recovered before it determines if action is required.